As president and CEO, Cody Gauer drives the strategic vision and profitable growth of the company’s North American business operations. 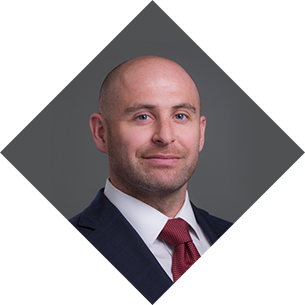 Trained as a petroleum engineer in the U.S. and Canada, Cody is 13 year veteran of the upstream oil and gas industry, of which the last ten have been spent in the heart of Alaska’s oil patch working for both major and independent oil companies. Preceding his appointment to Peak, he served as the production manager for Eni Petroleum’s arctic offshore assets and held multiple positions at ConocoPhillips Alaska, including senior production engineer and planning analyst for their Colville and Kuparuk River Units. Cody graduated with honors from Montana Tech with a Bachelor of Science in Petroleum Engineering. In his spare time, he consults as a subject matter expert on oil and gas technologies, market trends, and insights for major global management consulting firms and various financial institutions. An avid mountain biker who frequently hits the local trails, Cody serves on the board of the Singletrack Advocates, a nonprofit organization dedicated to preserving, maintaining, and creating singletrack trails in Anchorage, Alaska.